I love the runner of the month feature. It is such a great opportunity to shocase the amazing women I have in my community, and also to show gratitude for the women who continue to support me and my business ambitions…this month we celebrate a lady I am glad to now call my friend Jo Franco (soon to be Jo Wheeler, she she’s getting married to her hunk on 3rd Feb) he is a very lucky man!!! When did you start running and why? I first ever ran in 2006 when some colleagues were talking about getting a charity team together to do Glasgow 10k. 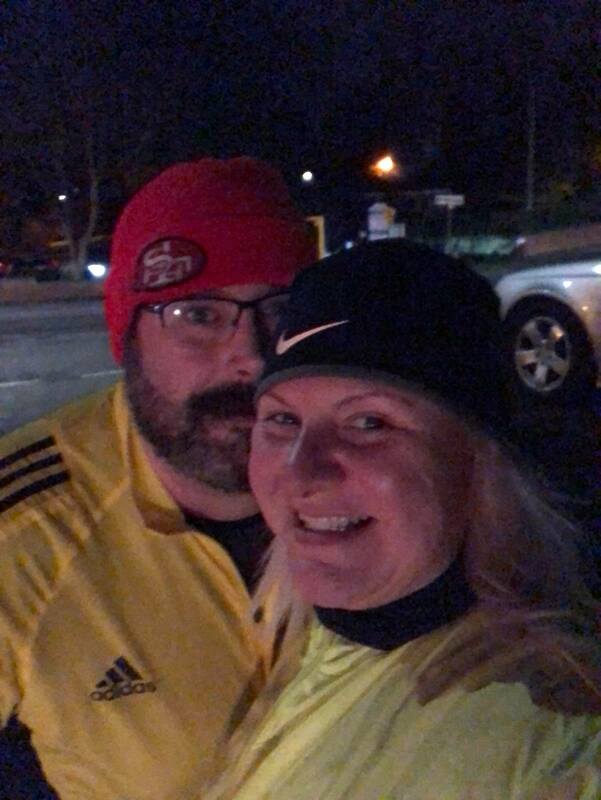 I was overweight and inactive and I thought to myself ‘If I say out loud to these people that I’m going to do it, then I’ll have to.’ I started off running a lamppost and walking a lamppost for 20 minutes and built up from there. In the end, I was the only one of the original group of colleagues who actually did it and I was really proud of myself. I’ve run on and off since then. Did you run a lot when you were younger? No! I liked netball but I was far too lazy and unfit to run. I think I actually had the record for the longest ever cross-country time at school. I hated running. What do you love and hate about the sport of running? I’m always falling in and out of love with it. I love being outside, I love the feeling when it starts to feel easier and I feel fit and strong. 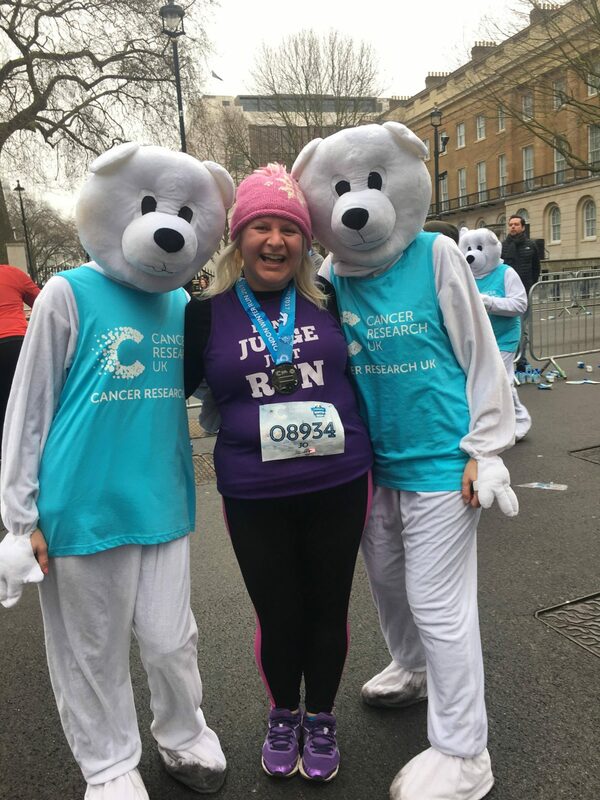 I also love the support and camaraderie from other runners – I’ve recently joined Smalley Road Runners running club and they are fantastically friendly and support everybody, no matter what your pace or size. What I hate about running is that it’s so inconsistent and some days it just feels really hard for no reason. I also hate that people assume I’m a beginner because I’m slow or that I’m running to lose weight. I run because I like it and because I like to feel fit and strong, not because I don’t like my body and want to change it. What kind of distance do you run in training? 2-3 miles unless I have a 10k coming up in which case I’ll build up to 4 and 5 miles. Do you parkrun? Which one? I have on occasion. Shipley Parkrun is a newish one local to me and the people who run it are fantastic. I plan to go monthly from now on. Have you had any negative experiences whilst out running? No, I’ve never been heckled only encouraged. What are your biggest fears/ concerns/ hangups about being a plus sized runner? I used to feel embarrassed by my speed and apologise for it but the Clubhouse has helped me with that. I run a 11.30-12.30 minute mile and I have no reason to be embarrassed about that. A mile is a mile! What is your ultimate running goal and what is stopping you from getting there? I don’t have one. What’s more important to you and why? Frequency of running or distance of running? Frequency for me. Little and often means I can fit it in and I won’t put it off. What could the government, local authorities, sports clubs etc. 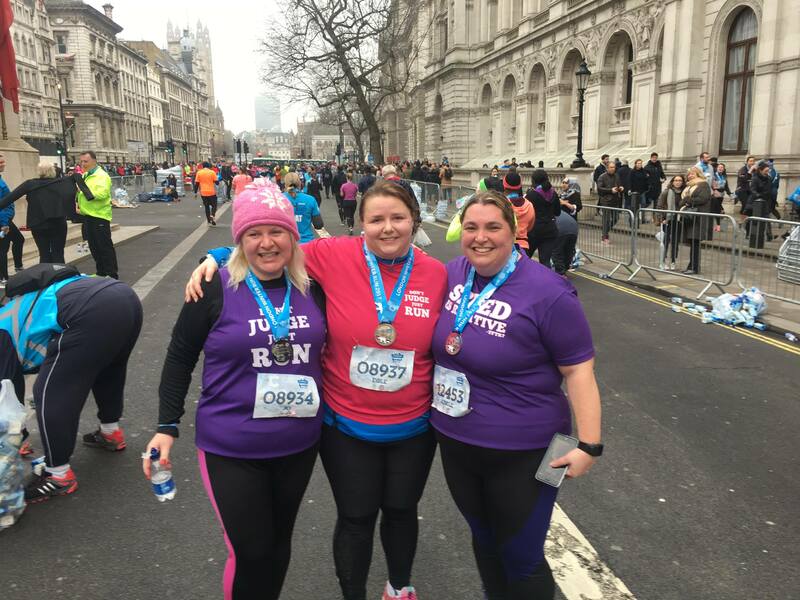 do to encourage more people to take up running and sport, especially overweight and inactive women? I think the government’s approach to obesity is all wrong. If I was an alcoholic and went to a doctor for help, they would give me a list of things I should drink and not drink. Yet overweight people are told to follow ‘diets’ which does not address the emotional, habitual and psychological reasons people are overweight. I think investing in exercise programmes like the one currently being run by Julie Creffield and Liza Vallance in Barking and Dagenham would have a huge impact. I also think schools need to be given the time to schedule regular activity so that kids are instilled with the need to get moving from an early age. Only education will change things. I also think that running clubs have a big part to play in encouraging people and I love the fact that my local parkrun no longer has a ‘tail runner’, they have a ‘tail walker’ so people know they can run/ walk to get round and not wait until they can run all the way. Small steps will make a big difference in encouraging people. What are the biggest barriers for plus sized women? I think the biggest barriers are time and confidence for many women. They prioritise themselves and their health last behind everything else which means it’s impossible to find the time to run. 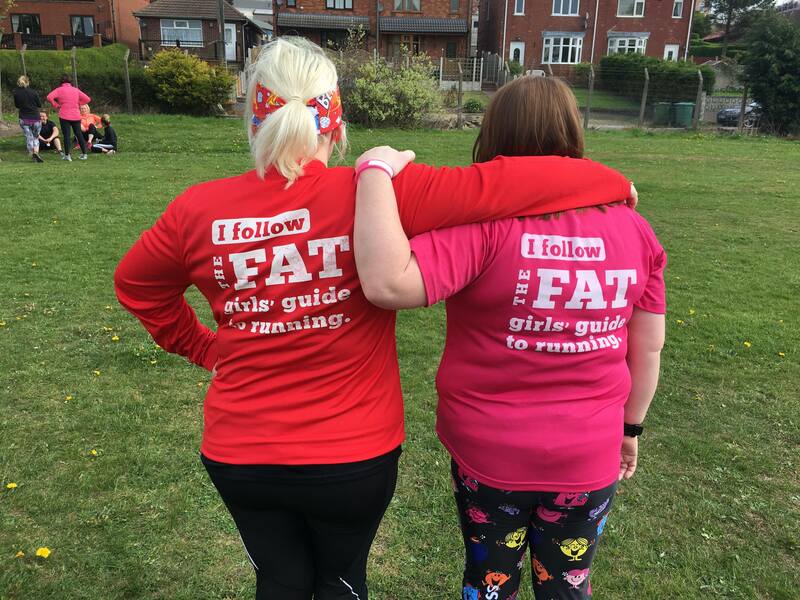 I’ve also met many women who lack the confidence and think they can’t run because they have a pre-conceived idea of a runner as a skinny person. What would you say to other runners just starting out? I would say that you just need to get some trainers on and get out the door. It doesn’t matter how far or fast you run, just run. Also, running with others is much easier so find your tribe, be it a local running club or your virtual tribe through the clubhouse. What have you learned about yourself through running? I have learned that I can do more than I think physically and that confidence is a gift for which I will forever be grateful to my parents. I’ve seen how much harder it is without it. Has being a member of the Clubhouse helped you in any way, is so how? The Clubhouse is a fantastic supportive group and only through that would I ever get out the door. It keeps me motivated and accountable. Join Jo, and 300+ other awesome female runners and walkers in The Clubhouse our online running club. Perfect for women who work shifts, don’t always have childcare, don’t like running with others in groups, or want to gain in confidence in a safe space at a pace that works for them. We have some exciting plans for growing the Clubhouse in 2018, with a sponsor for this runner of the month feature so that each woman featured gets a lovely treat, regional hubs for regular meet ups, monthly live coaching calls, opportunities to train as a Too Fat to Run coach and much much more.